STATE FAIR MINI DONUTS, INC. STARTED IN A 300 SQ. FT. BAKERY IN ST. PAUL, MN IN 1986. 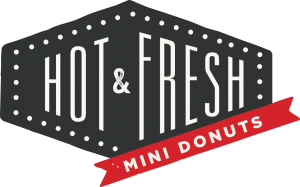 ITS CREATOR, DAN SHER, HAD A DREAM TO SHARE WITH THE WORLD HIS LOVE FOR HOT, FRESH MINI DONUTS MADE AT THE MINNESOTA STATE FAIR. HE FRIED HIS FAVORITE TREATS ALL NIGHT AND DELIVERED THEM ALL DAY UNTIL INVENTING A PROCESS THAT WOULD LET HIM SLEEP ONCE IN A WHILE. 30 YEARS LATER, YOU CAN ENJOY HOT AND FRESH STATE FAIR MINI DONUTS IN OVER 600 LOCATIONS IN 5 COUNTRIES AND COUNTING.